Plastic laminate doors are typically specified for their aesthetically uniform appearance. Hundreds of solid color, various pattern and wood grain options are available. 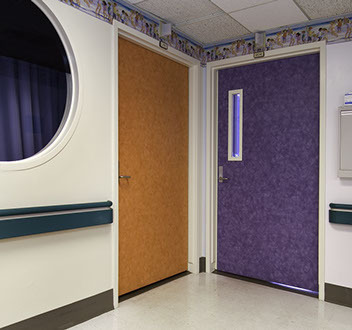 High Pressure Decorative (HPDL) Laminate door faces help resist shock, denting and scarring. 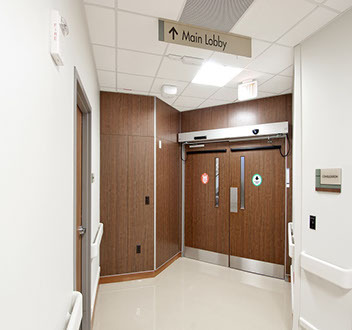 Because of their durability and ease of cleaning, they are a popular choice for medical buildings, schools and universities, government facilities and hotels. HPDL faces are available in a wide selection of colors and designs by WilsonArt, Formica, Nevamar and Pionite. Please click on icons below for all available HPDL finish and pattern selections.